The Kitty Packard Pictorial recently sat down with the Vice President of the International Buster Keaton Society for a chat about all things Keaton… and Damfino. Some of silent film’s greatest legends are alive and well on a sleepy tree-lined street in West Hollywood. Douglas, Charlie, Roscoe, Rudy and Max (respectively) bullet out the front door in a kinetic burst of energy, every bit as charming as their silver screen counterparts, and nuzzle me up their front stoop. The rambunctious crew of spaniels belong to the lady waiting for me at the door. Dr Tracey Goessel: Vice President of the International Buster Keaton Society, Douglas Fairbanks historian supreme, an all around swell dame and owner of the most infectious little bunch of bow-wows in town. With Doug and Charlie playing at my feet, I joined Goessel in her sitting room for a chat about the man of the hour, silent film legend Buster Keaton, and the venerable institution founded in his honor: The Damfinos. Such is the affectionate nickname for members of The International Buster Keaton Society, an organization that has championed the Keaton legacy since 1992. Silent film fans, even if they’re not Society members, have more than likely heard of them and their tireless dedication to, as their mission statement reads, fostering an appreciation and understanding of Keaton’s life, career and films. In honor of The Pictorial’s month long celebration of the life and work of Keaton, it felt right to get The Damfino story straight from the source. “Damn-fi-noh!” [Laughs] The Damfinos were founded in 1992 on Buster’s birthday, October 4th, and here’s the story. [Damfino President] Patricia Tobias, her sister Wendy and their friend Melody Bunting had wanted to celebrate Buster’s birthday by baking a cake that they felt would be an homage to Buster: a cake in the shape of a pork pie hat. But when Tobias began to decorate the cake, it turned into a disaster. The icing dripped off, and looked more like a wad of dead cake-cookie-dough than a porkpie hat. So Tobias said, “How can we honor Buster’s birthday now?” So instead, they started a club… a club that has since become an international nonprofit society. The International Buster Keaton Society. And they started calling it The Damfinos. Now, just for the record: anyone who has seen Keaton’s The Boat or College, knows that Damfino is a pun from Buster. In The Boat, he’s named his boat ‘Damfino’ and at the end of the film the boat sinks. His family is up to their knees in water and the wife turns and asks him “where are we?” We read his lips in reply: “Damned ‘f I know.” And so… we became The Damfinos. I say ‘we,’ although I didn’t actually come on board with them until 1995. And how did you become involved? I discovered The Damfinos when I got my very first Kino laserdisc. Sorry, but I have to stop and ask how you came into that! Well yes, the entire second half of the film is a reverse of the first half. So that’s why I could never track down any back issues! Now, the Buster Keaton Convention is held annually in Muskegon, Michigan, the site of Buster’s summer home as a youngster, the first actual home town for Keaton…. he had spent his entire childhood up to that point on the road with the family’s vaudeville act. The first convention was held at the time of Buster’s 100th birthday in 1995. We meet at a number of locations in Muskegon, one of them is a marvelous Victorian train station that was in fact the depot that would bring Joe and Myra and their three children– Buster, his sister Louise and brother Jingles — to Muskegon every summer. We go to the location where the Keaton’s cottage had been on the lake– there’s still a stone wall there at the lake, on which Joe and Myra had carved a little inscription. We even play baseball on the lot where Buster would play baseball every summer — a baseball field that will be renamed in Keaton’s honor next year. I mean, it’s just an empty lot, but the point is, it’s still there. It’s a very organic experience. Sounds like an almost holistic experience. Well, it’s still academic in ways. Our lectures are very deep and the attendees really do bring their A-Game. And let’s be honest: film nuts, and I speak for myself here, we often have the social skills of a gnat…. not always the most polished of people. But… people came. And, remember, this was the mid-1990s, before the Internet really took off, and suddenly there was a community of people who had finally found each other. They found the film family they’d never known, but always wanted. Anyone who is a football fan can find another football fan at the next bar stool. But we, as silent film fans, well, many of us spent our childhoods alone. Right! So, in 1995, all of the Keaton fans finally found each other. And it was a great mix of people: from NASA scientists, to doctors, to lawyers, to working class folks who’d scraped their last pennies together in order to make it to Muskegon. Because it meant so very much to be there. So really, it’s a family event. Do you know, in the introduction of the book Tempest in a Flat Hat, the author is at a Damfino convention. And he’s trying to keep cool, you know, thinking ‘Hey, I’m writing a book, i know must know my stuff’ … and the man is terrified. Oh my God, I know. That quiz asks the most obscure things. I’ve never won. But I exempt myself– that’s my excuse. People had no idea there was this other community out there. And The Damfinos was one of the first organizations of its kind. In many ways, Buster united people who otherwise would never have met. And, as a matter of fact, there have been several wedding that have come of the group, including that of our president, Patricia Eliot Tobias, and her husband, film historian and Emmy-winning filmmaker Joe Adamson. I’ve said it a million times, Tracy, but I’ll say it again: If I’d had access to what kids have access to these days… well, as a middle-schooler in love with silent movies and with movie star crushes on fellas long gone — I could have been spared so much therapy. The Mean Girls wouldn’t have mattered! But see, you’re still young enough that at least if you actually wanted to watch a silent film you could. For me, I had to read about them and then I had to work for them: I would do ironing for a dollar an hour so that I could save up to buy what were called Blackhawk Films– 8mm one or two reelers. And now people can see 35mm caliber prints on Blu-ray, where what you’re seeing it better than projected in the theatres. It is. And the community comes, they aren’t that familiar with Buster’s films, but still… they know he’s sort of theirs, somehow. We used to have a little lady who’d come — she had been in vaudeville with her family — she was in her nineties then, and she remembered Buster’s family, and would tell stories… We also show rare films of Buster’s at the convention. Rare film. We’re talking old commercials, and episodes from The Donna Reed Show, even out-takes from some of the old shows, some of which, I believe, are now available on Kino. We also get to have people speak, like James Karen who used to work with Buster in the theater, and so many others. This past year, Buster’s nephew, Harry Moore, was the special guest, and he had wonderful stories from his childhood about what Buster was like. Last year, it was Bart Williams, who as a child had visited Buster and his third wife, Eleanor, at their home, plus Buster’s daughter-in-law, Barbara Talmadge, who shared her memories. In addition to the convention, do The Damfinos host any other such special events? Well, at one point, The Damfinos had a party at Buster’s 1920s mansion, the Italian villa. Yes. It was being renovated at the time, but folks like Leonard and Alice Maltin were there, people got to dance on the floor that Valentino did the tango on, and we got to watch a film, Parlor, Bedroom and Bath, in Buster’s screening room. I mean, the film was dreadful, but it was partially filmed at the Villa, featuring rooms filmed in the house. And then we got to go into the film vault, which had been part of a garden shed, where James Mason had discovered the original prints of Buster’s films that had been thought to be lost. It was partially underground, and it was where Buster used to do his editing. So in the 1950s, James Mason moves into the house, discovers all of these films, and that leads to the rediscovery of Keaton’s films in the ‘50s. The films were found in the 1950s, and by the early 1960s they were making the rounds at places like The Venice Film Festival. And, of course, we also had the privilege of enjoying the support of [Buster’s widow] Eleanor Keaton. She was a strong supporter of the organization, right? Incredibly strong. And was she ever a tough, no nonsense lady. Well, she sort of had to be. It was her temperament: her father died when she was very young, and she was on her own supporting herself from the age of 14. So the Damfinos got to know her very well, then? Muskegon was his home even back in the teens? Muskegon was his only childhood home. That was the only place he had that was constant– stable. The book also shows that he was managing the money. A great insight that shows how he wasn’t some kind of illiterate. I mean, he was still a youngster and was keeping the books. Minding the books of one of the most successful Vaudeville acts around! Couldn’t his father be counted on to do the job? His father was busy booking the act around the country and writing a really innovative advertising campaign for them. Later on, when Buster was in his late teens, Joe became an alcoholic, which ultimately led Buster and his mother to break up the act in 1917. Later, as an artist, Buster had very little interest in business. He really never in any way shape or form negotiated favorable deals for himself. And I wonder whether his lack of interest came from that experience in his youth, or whether it was just his temperament… but Eleanor’s sharing that original source material was absolutely invaluable. And it makes perfect psychological sense as well. It’s just heart wrenching because what you’re seeing is this guy who is essentially still a youngster doing all this work. You also get to see the first day he worked in films: it’s noted in the 1917 date book. The day that Butcher’s Boy was released, is noted it in Buster’s calendar. So you could see this almost day-by-day account of his life. Really, thank god for Eleanor Keaton. Have any other of Keaton’s family become involved with The Damfinos? Oh yes, a lot of Buster’s relatives have become interested and involved. One of our board members is Melissa Talmadge Cox, who stepped in after Eleanor died to become the family spokesperson. Melissa is one of Buster and Natalie’s six grandchildren. She has a lot of memories of her grandfather, because she was teenager when Buster died. She’d go over to his house and visit, and she also spent a lot of time with her aunties, 1920s movie stars Constance and Norma Talmadge, both in Los Angeles and New York; they would take her shopping at Saks Fifth Avenue– dress her up right, you know. Melissa even has a bob like Connie, and bears an uncanny resemblance to that aunt. She’s just been so interested and has brought a lot of rich material to our board. The Damfinos also give an annual grant called The Porkpie Scholar Grant, which began a couple of years ago after the group received an anonymous donation. It is given to individuals and groups working on Keaton-related projects, whether writing a new music score, restoring a film, writing a book or whatever. or example, our grant helped out author Eileen Whitfeld, who wrote a wonderful Mary Pickford biography (Pickford: The Woman who Made Hollywood) and is working on what may become the definitive Keaton biography. 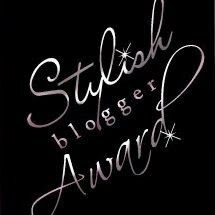 The second year, it was given to Jack Dragga, who is working on a documentary about a failed project from the 1960s called Ten Girls Ago. So, going from what people might have thought of a just a funny, eccentric little club of film lunatics, we have in fact we have grown to the point to where we can be not only self sustaining, but self sustaining and actually give back to the film community. And we will continue to do so. And funding is supported almost primarily through Damfino merchandise sales, correct? Yes. 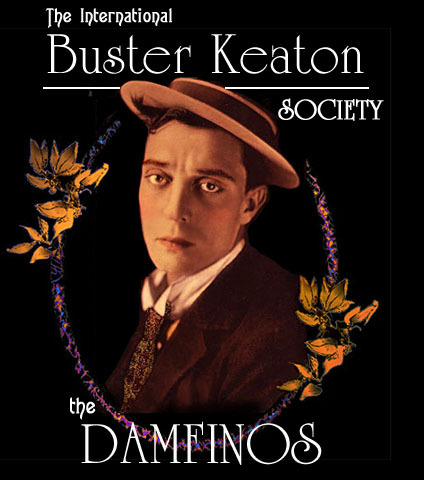 All through sales from Keaton-related items because The Damfinos have the licensing rights, through an arrangement with the Douris Corporation (which owns the rights to many Keaton films and to his image), to reproduce Buster’s image. Beth Pederson, who is The Damfinos’ treasurer, is so wonderfully creative at putting things together. We even sell custom-made porkpie hats. But, really, Patricia Eliot Tobias has been our guiding light. When she and her husband got married, who by the way wrote a terrific book on the Marx Brothers, they got married in Cottage Grove, Oregon, where Keaton filmed The General. On a covered bridge very close to where the train from The General had gone over, and their wedding reception was just feet away from the part of town where Buster was kicked out of the recruiting station in The General. Joe wore Buster’s cummerbund, which Keaton had worn to accept his honorary Oscar in 1960, and Patty carried in her bouquet a four-leaf clover that Buster had picked and given to Eleanor some 35 years earlier. A fairy tale wedding for silent film fans! Now, earlier you mentioned you would do the doing ironing for money as a kid, so you could afford to buy these silent two-reelers. Was film something you were brought up around? No, not at all! I was the oddball. I was 11 years old and I ran across Lillian Gish’s autobiography, The Movies, Mr. Griffith and Me … and I was hooked. That was it. I was so interested in that world that I pursued it. My parents were, you know, working folks and they really didn’t know what to do about it. And then one day my dad came home with a copy of Kevin Brownlow’s The Parade’s Gone By. Well, hey, what can you say? You were a child prodigy.